Liberal, Kan. – Audition dates have been set for a seventh movie by JFT Film Productions and Writer/Director Joel Trujillo for Aug. 27 in Hugoton and Aug. 28 in Liberal. Auditions are Aug. 27 at Greenwood Photography, 623 S. Main St. in Hugoton, Kan. at 6:30 p.m. and Aug. 28 at 1553 Bellaire in Liberal, Kan. at 6:30 p.m.
Seeking: Young female to play 17-18 year old girl. Ages from 15 -25. Character is cute very energetic. Seeking: Young male to play 18-19 year old boy. Ages from 18 – 25. Character is strong and a hard-working farmer. Seeking: Male to play 35-48 year old man. Ages 28-48. Character is a hard-working farmer. Seeking: Extras to play Native American Indians. “We are also looking for behind the scenes help,” said Trujillo. Trujillo has won two Telly Awards, a premier award honoring outstanding local, regional and cable TV commercials and programs, the finest video and film productions, and web commercials, videos and films. Winners represent the best work of the most respected advertising agencies, production companies, television stations, cable operators and corporate video departments in the world. 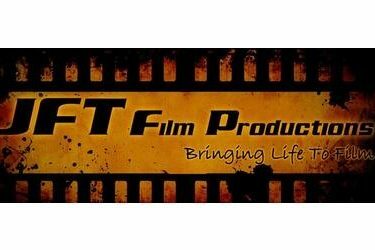 For more information go to https://www.facebook.com/JFTfilmproductions.